TIMBERWOOD – WANT TO LEARN MORE ABOUT YOUR CANDIDATES RUNNING FOR THE HOA BOARD? Timberwood Park HOA Board Candidate Forum – Ask your questions to the Candidates! We all know that a less than 5 minute conversation at a neighborhood meeting will probably not give most neighbors all the details they would like to know about potential candidates for the HOA board and our upcoming annual election. So, in the interest of providing an opportunity for ALL candidates to respond directly to neighborhood property owner questions, let’s try opening up a forum for discussion of topics of interest to property owners! Here are some ideas for questions but please feel free to ask any question you have directly to a specific candidate and hear their answer directly back to you! Hopefully this blog will be re-posted to the various other sites that have been previously re-posting as a means to open dialogue for all candidates with property owners. Please be sure to post the name of the candidate you are asking along with your question if you are asking a specific candidate for information otherwise it will be assumed that each and/or all candidates may answer your questions. Post your question either on FacebookTimberwoodGroup (the group says it’s closed but that’s because you must join to take part in discussion. So if you haven’t joined just click join and you will be added as a Timberwood Park resident) or if you don’t Facebook send your questions through a comment back to this blog post TimberwoodBlog , and the candidates will be able to see the questions to answer you directly! Of course if this is going to work, it assumes that each candidate will provide direct contact in some form to themselves to you for your question and answer discussion, via Facebook response, direct e-mail or by blog comment back to a question. As a candidate for the board what is your position about how improvements made to our common areas should be prioritized? And what do you believe is important as your goal/focus on the board on behalf of the community? As a candidate for the board what is your position about the need to set aside reserves (savings separate of operating or expanding capital) for regular maintenance and repair of already existing amenities and improvements? As a candidate for the board what is your position on building a new $1M clubhouse? If you are in favor of the new clubhouse, why do you believe it is needed? If you are undecided about the new clubhouse build, how do you see the potential process moving forward to determine whether or not it should be built? If a new clubhouse is warranted, what steps would you take as a board member to move forward with the project? As a community of approximately 2600 homes (pop approximately 13,000) what other improvements do you believe Timberwood Park will need in the next 5 years? How would you prioritize these improvements, including the clubhouse? Do you believe the clubhouse project if warranted should it be financed or should monies be saved in order for the project to be completed without a debt obligation? Why do you believe you would be an asset to the board? You have other questions? Ask them to every candidate or one candidate here and let’s work on getting a personal answer from the individual whom you are asking the question! 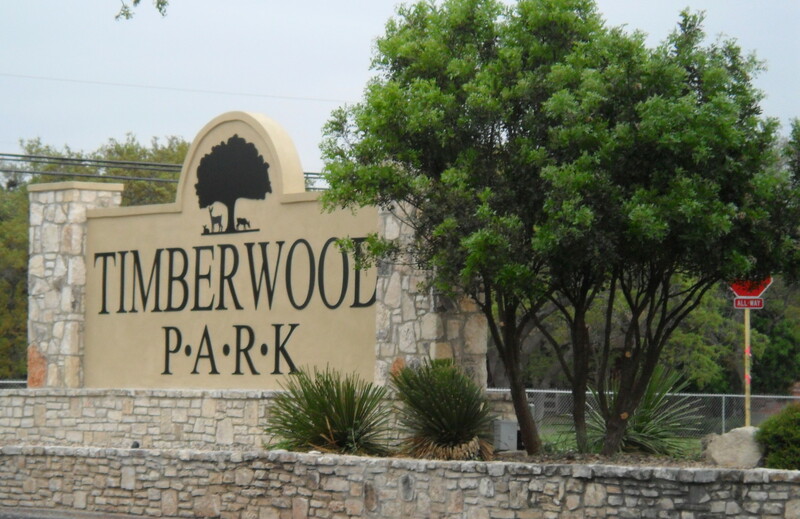 I have heard over the past few months, that there are a few individuals in the neighborhood who seem to be interested in determining who writes the “blog” on Timberwoodparksa . I’ve even seen some really interesting comments from people who I neither know personally nor know me personally as a result of re-posting of the TimberwoodBlog on other social media sites. For those of you who don’t know, which I believe is a rather small percentage of owners in the neighborhood, the owner and manager of the Timberwoodparksa web page as well as the blog is Cindy Griffin. I have been providing the web page and the information contained on it for approximately 5 years to the neighborhood, at my own expense, as a means to answer the many, many questions the neighborhood, property owners, contractors, builders, realtors, new potential buyers, etc. always ask as a result of them not being able to find answers easily and readily when they needed them. Because I continue to receive so many requests for information and help after turnover occurred and even today, it was easier to funnel answers through a web page that carried a great many of their questions on the site, but also gave them an opportunity to ask and receive an answer to the questions even if only to refer them to our property management office or the board. The board, who has indicated blogs and social media sources that have been posting factual information to the neighborhood should not be trusted because you don’t know who the author is has known and still knows to this day that I run this web page and the blog and have since day one of its inception. Ask timberwoodnews@gmail.com (Karen O’Neil) how many emails I have forwarded to the board from this website and blog for their follow-up and /or response. From requests for homeowner approval packets for improvement projects, to complaints from property owners about violations, to homeowners who have been waiting for 5 weeks without response from either Spectrum or the board for approval of an improvement project, or someone who needed to do a transfer of ownership because they were selling their lot or home, or someone who had a question about how to get a gate card to the park, etc. they have received many, many requests forwarded from this website. So, nothing could be further from the truth than that there is some personal agenda in play here – fact: I have been advocating on behalf of property owners in our neighborhood and getting answers for their questions and concerns wherever possible for years now. Further, check with the board and they should be able to tell you that I assisted with ideas — at their request — on how to rein in the overcrowding and over attendance at the Halloween event of non-Timberwood residents by providing guidance from the time that I was on the board as to how we managed the event with off duty sheriff’s deputies to control traffic and entrance to the park and wristbands and coins which we used at the time to manage the same event (we didn’t have controlled gate card system then…lots of cards existed that weren’t for property owners). I am not working against the board but rather advocating on behalf of all property owners. Anyone who gets the blog does so because they subscribed to it. If the blog gets re-posted on other social media sites, I do not control that, the individual who posts it does. The web page and all the detail provided on the web page were developed to provide ease of access for basic questions that are repeatedly asked over and over. It continues to evolve based on what I see and hear are neighbor’s needs and what will hopefully help make life in Timberwood Park more enjoyable as a result. So for those of you who wish to send personal attacks to me, please remember this: You don’t have to agree with anything on the website or blog. You don’t have to read it. The comments posted on other social media sites reposting the blog do so for a conversation to take place. Not to torpedo a specific individual or throw personal attacks toward someone you don’t know. So please stop the comments reflective of some agenda you think is in play. I have no interest in running for office. I did my fair share to bring this great neighborhood an opportunity at self-governance on a budget of $25,000 a year for 5 years with a voluntary association (and actually if I think about it we started with far less as I think we had about a 100 members when we started @ $25.00 per member annually). While we didn’t have much money, we still managed to put on the social events like Music in the Park, Picnic in the Park and so much more but you are correct to state that we couldn’t make improvements to our amenities—there was no money available to do so. We also managed to get the neighborhood to turnover – allowing for the place we are now at being able to make improvements and enhancements to our neighborhood common areas and provide amenities which property owners would like to see in their neighborhood going forward. I love living here too. I want to continue to see the best for my neighborhood and as such will continue to advocate on behalf of it. My interest in providing information to the neighborhood now is to do just that, provide information! It’s up to you what you do with the information you receive. CLUBHOUSE DEBATE/DISCUSSION BRINGS LARGEST TURNOUT TO HOA MEETING SINCE TURNOVER!! Thanks to all the neighbors who were able to attend the August HOA meeting to learn more about the previously board decided new clubhouse build which has since been modified/retracted. Your attendance was greatly appreciated and a sign to the board that the neighborhood is not comfortable with what was at the time, the already made decision by the board to build a new million-dollar clubhouse. There was no documented information, research or financial disclosure provided to you, the property owners of Timberwood Park for this previously made decision. Not to mention, there was never an opportunity for the entire community to provide a vote either supporting or disagreeing with this proposed substantial expenditure (even if this vote was not required, as the board has stated in the September newsletter issue, it would appear a good business practice toward open, transparent management to allow community participation and understanding of the project). It is noted that the board has indicated in the September newsletter their willingness to allow a vote by property owners on this project following discussion at the August meeting. And as a result of the August meeting, we now have the September issue of the newsletter, which speaks in large part to the August meeting. The board discusses the topic of the relevance posts which have taken place in the past using social media resources and indicates that those resources cannot and should not be trusted when communicating with you the property owner. Yet the board uses social media on several fronts like Crime Watch, Music in the Park, etc. to communicate with you, the property owner as a legitimate means of doing so. Additionally, we are back to the “if you want to know what is going on come to a meeting” quote which we can all agree is not only not always possible, but sometimes conflicts with other responsibilities we all have in our personal lives. It is not reflective, however, of a lack of interest in our neighborhood. So apparently unless information is brought to property owners by the board through social media, it may not be correct or accurate according to the board in the September newsletter. The posts alerted you to the fact that the board had previously decided, and announced that decision publicly in HOA meetings and issues of the newsletter, to build a new million-dollar clubhouse. The September newsletter, unlike earlier editions, changes the board’s position and now states they have “begun preliminary planning on a clubhouse project”. The posts alerted you to the fact that to date there had been no written supporting research, written documentation, written due diligence on behalf of the neighborhood, written financial detail, that would support making such a large decision on behalf of the community. The posts alerted you to a discussion that the board used wherein approximately 600 responses to an electronic survey which was put out seeking “what improvements property owners would like to see in the existing clubhouse” were the basis for this decision. Do we know if the 600 responses were in fact from 600 different homes or repeats since the survey went out 3 times? What didn’t that survey do? No mention of a new build. Like the lack of adequate reserve funds established in spite of the fact that dollars available over and above our operating needs are spent for new improvements on a regular basis each year rather than save money to afford the luxury of a want down the road. If we commissioned and paid for a reserve study, why in the world wouldn’t we follow its recommendations and ensure that fundamental maintenance was possible for existing assets and improvements before we spend money on extras? And, even if you felt it was not necessary to fund the entire projected figure to completely fund the reserve account (which is discussed in the newsletter as well), why wouldn’t we put away a reasonable number of funds to ensure we can maintain what we already have in existence properly before we add more to maintain? If approximately $560k is reserves according to the study for everything, why not reach for at least 50% of that covered as good stewardship and management of the property owners existing assets and fees spent to assure those are maintained? Do you believe $120k is adequate after 5 years of operation given the total dollar amount the study outlined? An independent audit performed the same year outlined the same dollars and also discussed supporting good business practice which includes setting aside enough dollars to support maintenance and upkeep of our existing improvements and assets. Have we done that? If we are building a new clubhouse, what about the thousands just spent remodeling the kitchen? The exercise room upgrades/remodel? The tennis court expansion project – now one court is resurfaced into a basketball court after the expense of building the additional tennis court(s) which are almost never used, and almost never completely full as witnessed by numerous property owners on a regular basis. Anything listed above inaccurate or untrue? A variety of opinions and discussion on any large scale project is a positive sign that there is ample participation and involvement by the group it impacts. Likewise, feasibility studies determining actual need versus want or “what would be nice” make great use of facts and statistics to work toward the best decision on behalf of all property owners for whatever is being studied on behalf of the community it will serve. And of course, thorough, written financial analysis of costs associated with a project are essential for property owners to understand why something costs what it does and whether or not it is affordable and reasonable. Transparency means that all these steps are followed and publicly reported to all property owners to ensure that those represented feel as though they are valued and a part of the decision making process and that their dollars are being spent in the best manner possible on behalf of the entire community and in keeping with general HOA standards and practices. What would it take to reach the funding goal of the project? Is it saving a certain dollar amount each year for a number of years to pay cash for the project? Is it finance the project at an additional cost to property owners in financing fees, etc.? So many questions unanswered and still needing to be addressed for the best interest of the entire community. Of course we aren’t all going to agree on what the best plan is, but open, frank discussion is a cornerstone to transparency and inclusion of the entire population of Timberwood Park, not just a small sampling of it when making large scale decisions impacting everyone in the neighborhood. To date, have you felt that this whole process has been transparent to all property owners? Unless we as a community of property owners are interested in turning our private park into a commercial entity do we need a clubhouse of this expense built? At this point that remains to be seen with actual factual presentation of statistics, feasibility, financial obligation, etc. If the goal is ultimately, in addition to use by property owners, to rent out the clubhouse, park and pavilion for public events which are not property owner use of the facilities, like private weddings, parties, business gatherings, etc. as an income source then the feasibility study should include what that does to our park. For example, if that is one of the reasons to build new and double the size of the current building, is it because it will be used as an income source? If not, is a clubhouse of this size and cost is necessary or needed for this community? Likewise, if we are discussing renting the facilities out commercially, this can signal a change in the park’s tax exempt status, and a change to our association taxes because we are now actually using the common areas as money making venues rather than for the use of property owners only and as a private park not open to the public. At the end of the day, it may well be determined that a new build is the right approach to this project. However, until enough research is completed, the actual scope of the project determined in full, and property owners have had full opportunity to review and participate in the discussion regarding this project, it seems like it shot out of the gate rather pre-maturely as a “new build of 8,000 square feet” before any real tangible research was completed to warrant such a decision. The September issue of the newsletter provides a number and variety of candidates running for office to fill 3 slots which will be coming up for election this December. The slate of candidates includes 3 incumbents seeking re-election. It’s amazing to see so many people step up to run for office when in the past we have had few candidates to choose from and thanks to each person who took the time to decide they could offer their time and talent to volunteer on behalf of our community! Cycling representatives in our community on our HOA board is not only an opportunity for someone new to have a chance to help shape our neighborhood, a fresh perspective can be gained by the addition of those who have not served previously. It also allows those who have served for a period of time already – 3 to 5 years in most cases – an opportunity to take a break knowing they have served our community and moved it forward from turnover to present. Please take a look at all the candidates and if you have the time, come to the October meeting to hear them all speak to the audience about what they might be interested in accomplishing on behalf of the neighborhood if elected to serve. The purpose of this post, as has always been its purpose, is to continue to provide property owners with information regarding community wide issues and concerns which may be of interest to the reader. It is up to the reader to determine whether the information is factual, relevant, and appropriate to them. It has never been intended nor has it ever conveyed it was the only source for information to the neighborhood. It is important as discussion continues about any and all topics of interest to our community including our upcoming elections that everyone is heard, regardless of opinion, and no one uses personal attacks or intimidation to make their point. We are a great community of wonderful, caring neighbors. Let’s continue to work to keep it that way and work toward everyone remaining civil in all dialogue and opinions regardless of their position on the topic of discussion.